And thus, the scene was set for Jess’s really intriguing film choice, Tabloid. Documentaries seem to do very well in our FAFTA awards, and I have a suspicion the Tabloid may similarly take some trophies next year! It was a tale of Mormons, handcuffs, chloroform, scandal, and… cloning. As we discussed after the film, if it were not a documentary, you just wouldn’t believe it! As Comrade Di said, you couldn’t make this stuff up! 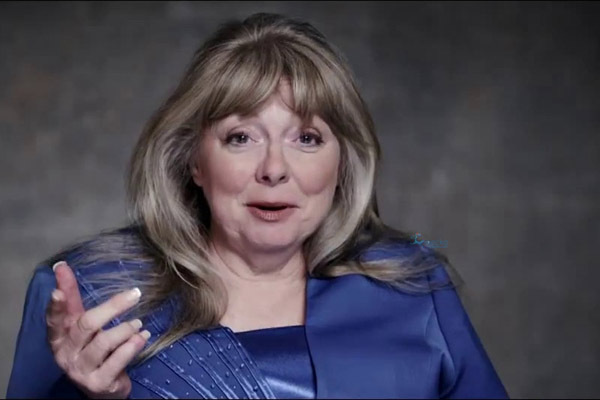 The focus of the film was Joyce McKinney, who in 1977 allegedly abducted a Mormon from a church in Surrey, and subjected him to sexual assault. Tabloid very much focuses on Joyce’s opinion on all this (along with talking heads of various journalists involved in the subsequent newspaper scandal), who recounts a very different version of events to the “Case of the Manacled Mormon” story that appeared in the papers. To avoid spoilers for any film fans who have not seen this documentary, I won’t go into any more detail about the various tellings of the events of the time, but suffice to say, they rival any Hitchcock film in the twists and turns presented. The bizarre plot developments leave the viewer none-the-wiser in terms of ‘the truth’, and in particular our film club was very disbelieving of Joyce’s account. With this in mind, it is of no surprise to learn that Joyce subsequently attempted to sue the film maker Errol Morris, and made her personal protests regarding how Tabloid misrepresented her, at film festivals and screenings. Polygamy: the pros and cons, and the mathematics. See what I mean! An eclectic mix of ideas, all stemming from the bizarreness of the story we had viewed. We also talked at some length regarding Mormonism, and realised that most of what we knew came from South Park and The Book of Mormon. Which has given me great pleasure in redirecting you here and here for some brilliant clips. But if you’re intrigued into what the Church of the Latter Day Saints actually has to say, then that link is here.